Okay, so you’re ready to stock your kitchen with yummy wholesome foods, but if you leave the house without a plan you know you will come home with waaaay too many unnecessary items, and an empty wallet. At the bottom you will find the printable shopping list link I have put together for you. These are what you build your meals around. I know that today everyone is terrified of carbs, even the word seems to make you gain weight, but in reality, carbs are what fuels our body! Food has three sources of calories: carbohydrates, protein, and fats. The standard American diet seems to be fixed on protein, protein, protein, and it’s ludicrous if you do your research. Our bodies cannot process as much protein as we are trying to force into them. In fact, the steak that took up your entire plate or that scoop of protein powder that is supposed to grow your muscles, really just gets turned into carbs anyway in your body through a process called gluconeogenesis. Weight loss and keeping yourself satisfied would be easier if you just reached for the oatmeal. Something else you won’t need to pick up every grocery trip will include nuts and seeds. These babies are sources of healthy fats, YES, our bodies need fat to survive. They’re also a good source of omega 3 and omega 6 fatty acids, which some uninformed diet-ers think only come from fish. Of course, you won’t need all of these. I would recommend having one nut butter, and your choice of nuts for a quick snack. As for the seeds, I prefer having lots of options in my home (because I pile them on just about everything) but, again, one would be sufficient. Plus, they can get pricey. Not to mention the protein found in nuts and seeds, non-dairy milks, and even vegetables. Pretty much a no-brainer here. Just pick up whatever your favorites are, but don’t forget to try new things also! Whenever I take a trip to either the grocery store or farmers market I try to pick up veggies I am not as familiar with, just to expand my pallet, more nutrients, and sometimes, simply just for fun. Your produce doesn’t always have to be fresh either. Check the frozen section for good deals as well. Plus, they freeze the produce during peak seasons, so when your favorites aren’t going to taste very good for another few months, the frozen section has you covered. 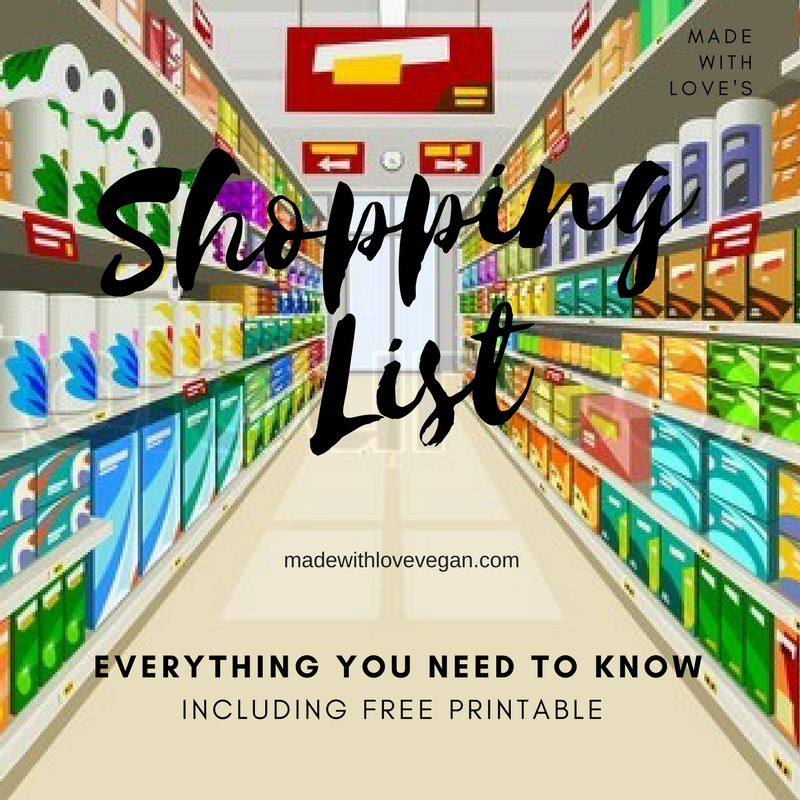 See my post newbies guide to shopping vegan for more tips! I wish I could be a bigger advocate for leafy greens, but if we’re being honest, I struggle to get them into my diet. I know they’re an essential part to any lifestyle and they’re full of iron and calcium, but eating a salad doesn’t exactly do it for me. I find putting my greens in with my pasta, stir-fry, or in a smoothie is the best way to trick myself into eating my greenies. You can get most of these frozen also! I find that buying frozen is smart because leafy greens go bad notoriously fast, although they don’t have the same quality after being frozen of course. I use frozen greens in smoothies and I have found that using frozen in my pasta dishes also works well. I add it to the saute pan when cooking my veggies and it works like a charm! I don’t advise getting too carried away with the vegan substitutes. I will always stand behind whole plant foods as being the healthiest option. With that said, even the most disciplined person can get tempted by the processed stuff! As for your condiments, spices, and baking ingredients mostly everything you have already is probably vegan! I’ve put together a list for you. ← vegan cheesy mushroom israeli couscous.